يشكل Albury Paddlesteamer Motel بموقعه الممتاز في المدينة نقطة انطلاق جيدة لاستكشاف أفضل ما فيها من معالم ومناطق نابضة بالحياة. يحظى هذا الفندق ذو 4 نجمات بمكان ممتاز يسمح بالوصول إلى المعالم السياحية الأكبر في المدينة، فهو يبعد مسافة 1.5km عن صخب المدينة. يضفي محيط الفندق اللطيف وقربه من أكثر المعالم السياحية جذبًا سحرًا خاصًا على هذا الفندق. 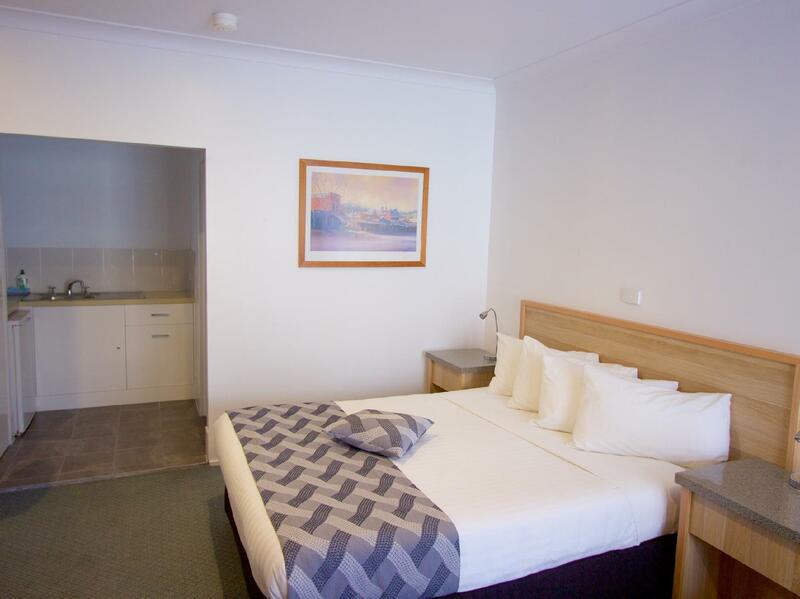 يعمل Albury Paddlesteamer Motel على ضمان إقامة مريحة لضيوفه من خلال خدماته الممتازة وحسن ضيافته. تتضمن الميزات الرئيسية في هذا الفندق: واي فاي مجاني في جميع الغرف, خدمة التنظيف يوميًا, خدمة سيارات الأجرة, مجهز لذوي الإحتياجات الخاصة, مرافق مخصصة لذوي الاحتياجات الخاصة. تنعكس أجواء Albury Paddlesteamer Motel في غرف الضيوف.تلفزيون بشاشة مسطحة, قهوة فورية مجانية, شاي مجاني, بياضات, مرآة هي بعض الميزات الموجود في العديد من الغرف. يمكنك طلب اللائحة الكاملة للخدمات في الفندق ومن بينها حمام سباحة خارجي. 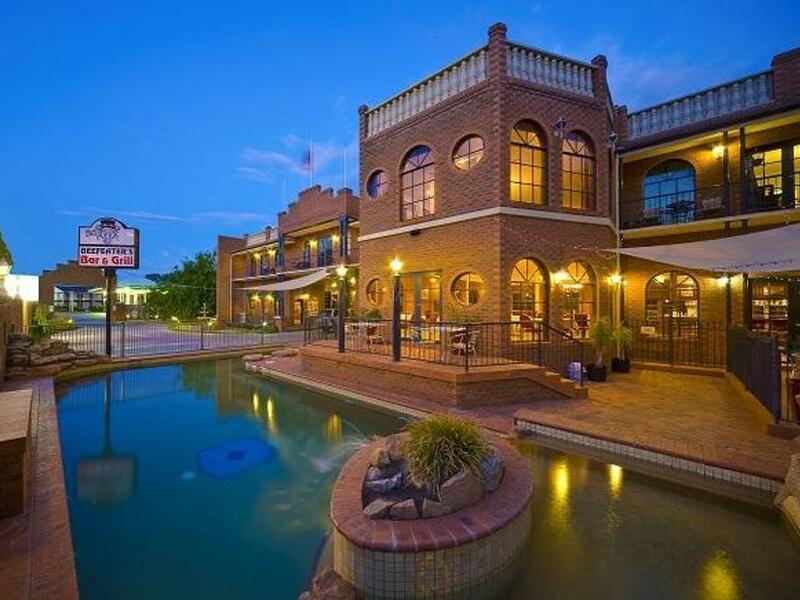 مهما كانت دواعي سفرك فإن Albury Paddlesteamer Motel هو خيار ممتاز لإقامتك في المدينة. لا يمكن إقامة الحفلات دون الحصول على إذن مسبق من الفندق. The restaurant was very disappointing. As senior travellers, one with a dicky knee, our request for ground floor room and shower that was not over a bath were denied on line, HOWEVER we sorted that out when we arrived. Then we were able to give the perfect 5 star rating above for all those elements listed. But, if communication had been listed it would have bee 2 star, as: It would have been better if the initial rejection response had said that a ground floor room would be available for $x extra. Located conveniently close to the township and also directly opposite the reserve and river. Enjoyed a clean and tidy upstairs unit. Booked during the busy season but unit was quiet. Helpful staff. Plenty of parking. I booked this for my daughter to stay for 1 night and she was very happy with everything, had a good bed and plenty of room. Fantastic and the meals are awesome. 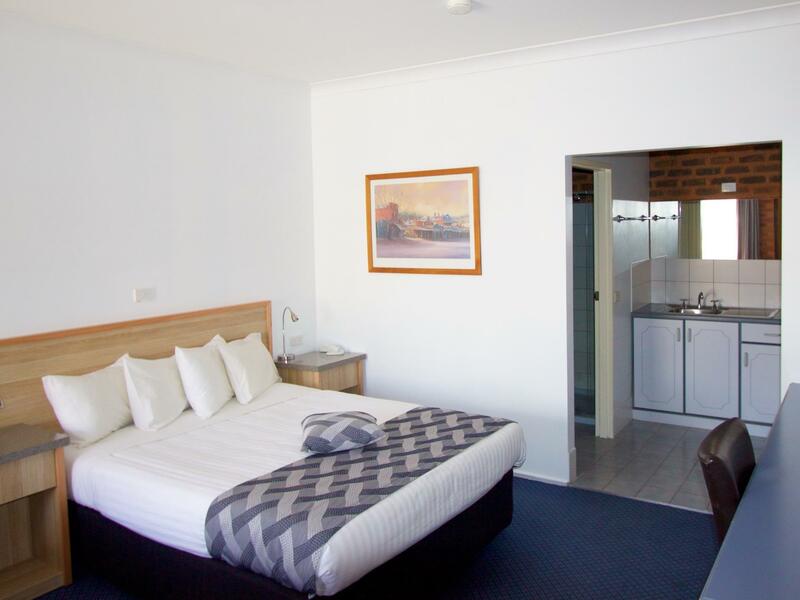 We were driving from Sydney to Melbourne and wanted a place to rest overnight. We arrived about 6pm on Sunday night. The Motel Bar and Grill was not open so it was a 3km drive to Albury and a bit of a search to find something open where I could find decent takeaway to take back to the motel. The room was clean but tired and the lip between the living area and tiled kitchen/bathroom area is dangerous for the unwary. 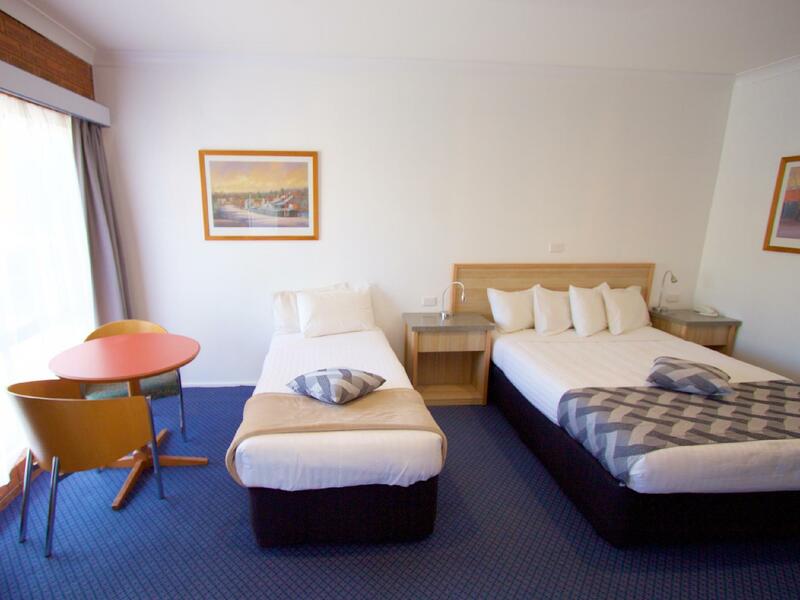 Staff were friendly and the convenient location allowed us to cross the Murray and get back on the Freeway to Melbourne without tracking back through Albury. We would stay there again, especially as a rest stop when travelling to Melbourne. Fabulous value for money with plenty of space, a new bathroom (with huge fluffy towels) and nicely decorated. It's five minutes by car from the Main Street so too far to walk with small kids but a very quick drive. Unfortunately the bar and. Istronwere closed as it was a public holiday so we didn't get to check it out. 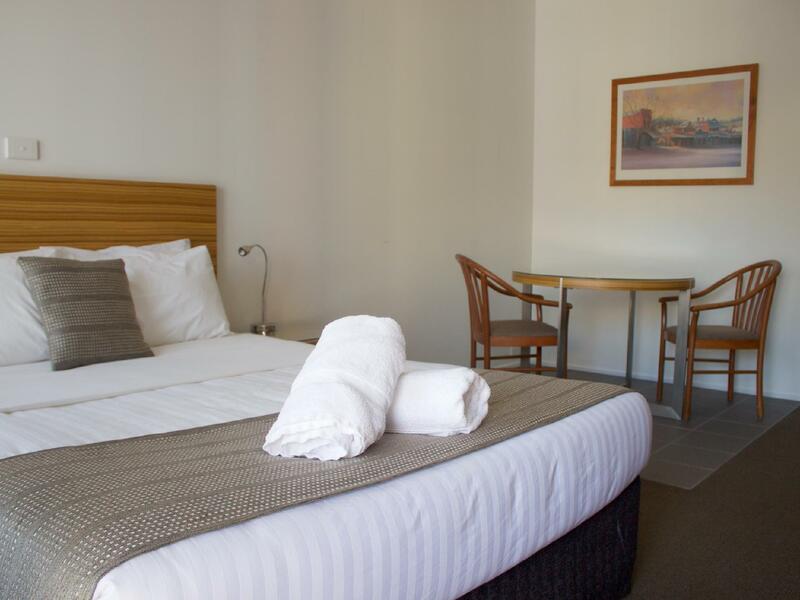 The staff were friendly and the room was spotless. We'll definitely stay there again. I was surprised at the spaciousness and cleanliness of the room (room 107, ground floor). There was ample storage space, and luggage space, and a well-equipped kitchenette and sparkling bathroom. The lady at the front desk (I'm sorry I didn't ask her name) was so helpful and knowledgeable about the sights in Albury. Would stay here again! Room was clean and tidy. Disappointed with the microwave. Could not warm our take- a-way meal as the microwave was not working. Shower tap was pretty noisy when you turn it on. Cleaners pushing their mop bucket along the outside of our room, making so much of noise early morning. We could not sleep in. Staff were friendly. Second night, there was no hair shampoo and conditioner. Too late in the night to go ask the staff, office hours closed. Good location. It was a nice place to stay stopping on our way from Melbourne to Sydney ..Turned out the lights to go to sleep and then the fridge started making a weird noise that went ALL night. Not fun when trying to recharge for the rest of our drive. 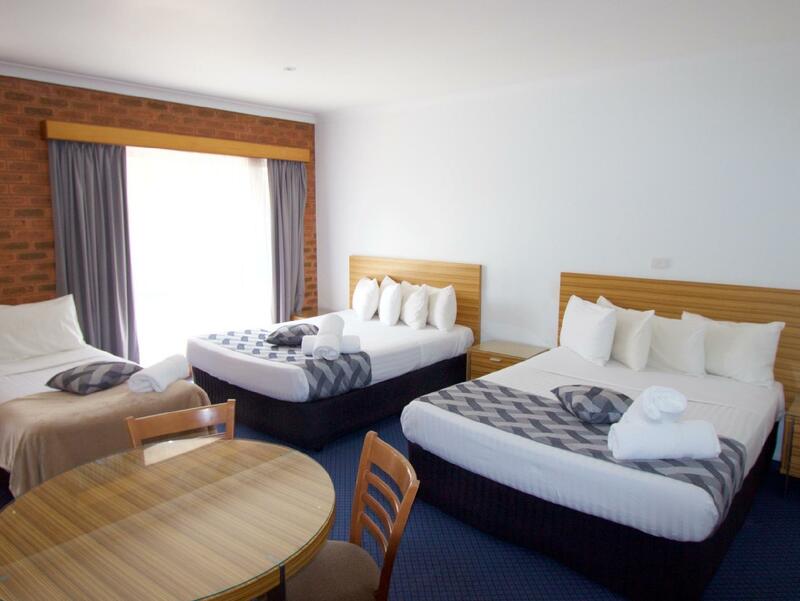 The rooms were a comfortable size; the facilities included not only kettle but toaster, microwave and plates and cutlery; best shower I had ever had anywhere; table for working; comfortable clean beds with removable covers on the quilts; generous, comfy pillows and the staff friendly and helpful. Opposite the motel is a beautiful park for walking. Certainly good value for money. 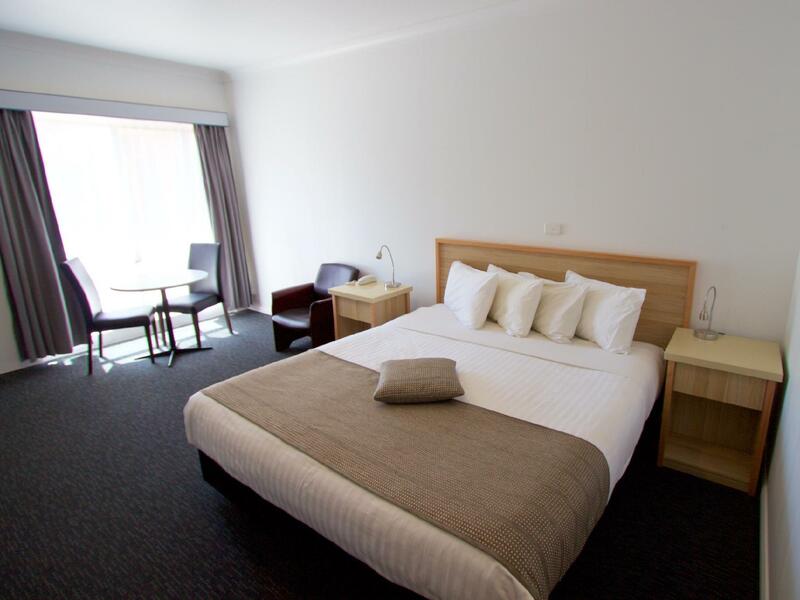 Convenient location for a business traveller, great well-appointed re-furbished room, plenty of dining options. My stay on business was for 2 nights in very hot weather, and I would definitely stay at this motel again. The ground floor room was extremely spacious, cool, quiet and well-appointed. The manager was very pleasant and helpful, as were the on-site Bar and Grill staff. The food was of good quality, and for variety (if desired) there are other dining options a short walk away. Free WiFi was fast and reliable. There is excellent well used parkland along the Murray River, just across the road from the motel, great for an after-dinner stroll in the cool of the early evening. Our stay was short and sweet. 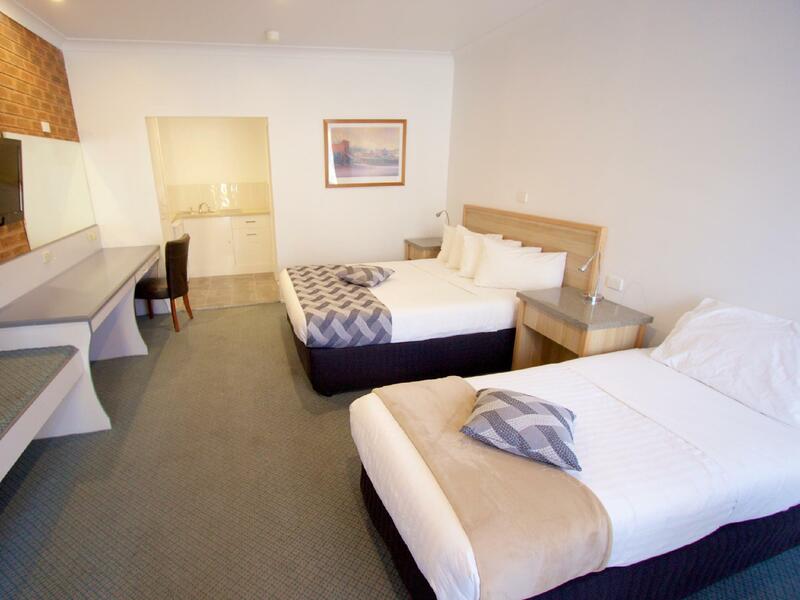 It was just a one night stay over while traveling through Albury. Motel was easy to find, room size was good, check in and out fast and friendly. Perfect for what we wanted. Joanne who had a full house took time to move us to another room as the TV wasn't working. Also, spent extra time trying to locate lost item. We had drinks and dinner at the bar/restaurant. Bar/wait staff trying hard but could do with a course in wine and spirits knowledge. A pleasant overnight stay.